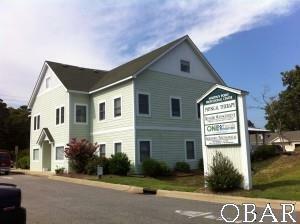 Martin's Point Professional Center commercial condo, Suite B includes 4 offices set up and ready to go. Great Location at the foot of the Wright Memorial Bridge. 1,105 square feet of office space.